This is hopefully a new monthly feature for me, as I look back on the books I read during the previous month. Note explaining the length of this list – I was originally devastated when I found out the colleague who’d given me a lift to work for the past few years had been selfish enough to get a job, leaving me to face the bus in the morning. Thankfully, I soon realised that while this has totally messed up my finances, it’s left me with a lot of extra time for reading, and took full advantage of it in January! I was originally planning on doing a top 10 or something similar, but there was just so much incredible stuff I read that I’d be leaving a brilliant book out even by picking 10, so instead, I’ll run through YA and MG in alphabetical order by author, and then announce my Books of the Month. Beat the Band by Don Calame – Staggeringly funny sequel to the excellent Swim The Fly, this is a raunchy comedy with a lot of heart. Welcome Caller This Is Chloe by Shelley Corriell – I’m waiting to publish my full review until nearer release date, but quick summary – superb! Fabulous contemporary fiction with a wonderful narrator. Tempest by Julie Cross – Mixed feelings on this one; I really enjoyed most of it but absolutely loathed the ending. Worth checking out for time travel fans, at least. Night School by CJ Daugherty – Never got round to reviewing it. Interesting thriller which wasn’t completely successful in holding my attention but has a lot of potential as a series. I’ll be on board for book 2! Saving Daisy by Phil Earle – Gut-wrenching contemporary drama with incredible characters and powerful writing. Girl Meets Boy by Kelly Milner Halls (editor) – Fascinating concept for a collection of short stories is a superb introduction to some excellent authors. The Summer I Turned Pretty by Jenny Han – This one didn’t really work for me; a shame as I’d been looking forward to it after reading tons of positive reviews for the series. Unfortunately, bratty narrator Belly was too irritating for me to enjoy it. Poison Heart by SB Hayes - Incredibly compelling psychological thriller. Huge recommendation. Department 19 by Will Hill – Think you’ve read every possible spin on the vampire genre? Think again! From Frankenstein’s Monster as one of the good guys to teen vampire Larissa, this features outstanding characters, an incredible plot, and a superb ending to set up book 2 in the series nicely. Absolutely stunning. Indigo Blues by Danielle Joseph – Light and fluffy, this contemporary story is a perfect chilled out read. Danielle was kind enough to give me an interview about it. Falling Fast by Sophie McKenzie – Somehow, despite me not liking the central characters that much – normally a deal-breaker for me – this intense romance really gripped me. Fracture by Megan Miranda – Fabulous narrator and excellent supporting characters make Miranda’s debut novel a bit hit with me. Highly recommended. Huge by Sasha Paley – This contemporary story about two girls at ‘fat camp’ who fall for the same boy didn’t really do it for me, but is worth checking out for major fans of contemporary YA. This is Not Forgiveness by Celia Rees– Despite (or perhaps because of!) the unlikeable characters, this contemporary drama about big issues is gripping to the end. Rees, more famous for historical and supernatural fiction, shows her versatility as she deals with troubled young people in today’s world. Under The Never Sky by Veronica Rossi – Dystopian tale didn’t quite live up to the hype for me; I found the main characters unappealing and the world-building confusing. That said, there are enough strong points to make it well worth checking out if you’re a big fan of the genre. The Cardturner by Louis Sachar – Sachar does the impossible and turns bridge into an interesting game to read about. Not one of my favourites of the month, but surprisingly exciting given the subject matter – and as always with Sachar, the laughs keep coming. My Soul To Save by Rachel Vincent – I’m still not completely in love with the Soul Screamers series – Kaylee and Nash are a little bland as main characters – but Vincent’s world-building continues to be excellent, and most paranormal fans will really enjoy this one. The third in Jobling’s outstanding epic high fantasy series is the best yet. Despite a sprawling cast, Jobling keeps the action focused fast and furious, and develops his characters brilliantly while doing so. 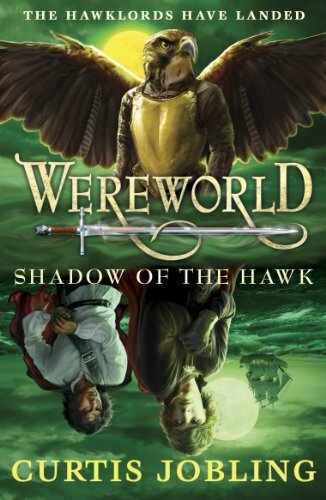 Whether it’s incredible excitement, political intrigue, or really well rounded heroes that you’re looking for, Wereworld has it in spades. I also read a few MG books during the month. The Wombles by Elisabeth Beresford – Classic book for kids seems unsurprisingly dated by now but is a charmer anyway. A Most Improper Magick by Stephanie Burgis – WOW! 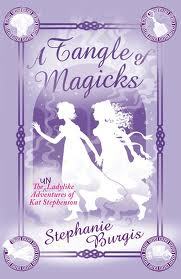 12 year old Kat, a stunning central character in this amazing historical tale with added magic makes it a massive hit. On reading it, I was comfortably expecting it to be the best book I read all month, and was nearly right. Over The Moon by G G Elliott – A pleasant enough, if rather predictable, story of football, fashion and makeovers. Going Out With A Bang by Joel Snape and David Whittle – Reasonable, with contemporary humour that will definitely appeal to boys of the target age range. As fabulous as the first in the Kat Stephenson series is, the second is better in every way. Great characters who develop wonderfully throughout the novel, a superb portrayal of Georgian England, and a stunning climax which had me nearly in tears make this a well-deserved Book of the Month. What was the best book you read in January? I'd love to know in the comments section! If you've done a similar post, please feel free to leave a link so that I, and my readers, can check it out. And wow, you've really made use of the bus time - I don't think I could manage to read on the bus lol. Thanks Jesse, glad you liked it - hadn't realised how long it was until I finished it and was worried no-one would read it! Yes, definitely made use of the bus time, 30 minutes reading every morning is a great start to the day!